FAQ and Articles - How to create a support ticket. 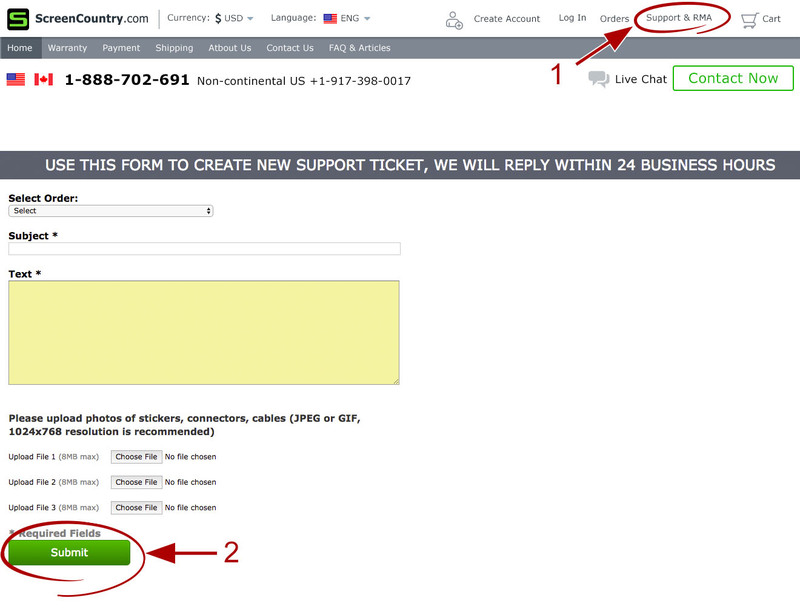 HomeFAQ and Articles	How to create a support ticket. If you have questions regarding your order (order status, lost or damaged parcel), please Log in to your account and create a support ticket. We are not able to view your order history unless you create a support ticket through your account. You will receive a reply to your support request within 1 business day, from Monday to Friday, 10 AM till 4 PM PST. If you forgot the password to your account, you can send us your order number, first and last name on your account or your e-mail address. Also, you can use "Forgot Your Password?" button. To login to your account, please use "Log In" button. When you create a support ticket, you are encouraged to upload several pictures for a better description of the issue.